When summer arrives, you can count on Alaskans to rush to swimming pools to take advantage of extended daylight hours. But while you may be eager to take a refreshing dip, MediCenter recommends taking stock of the many ways you can improve safety at the swimming pool. 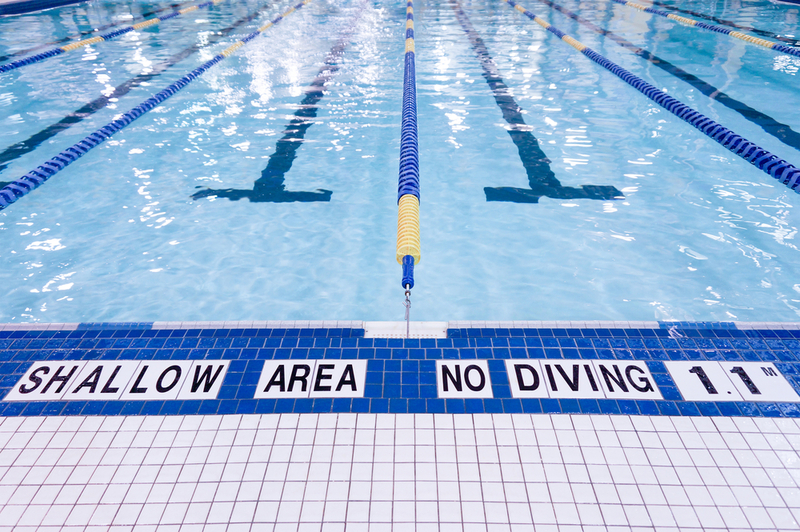 In honor of National Water Safety Month this May, this urgent care center of Kenai, AK, highlights some of the most common injuries experienced at pools—and what you can do to keep them from happening. The risk of drowning is present wherever there’s water—no matter how deep. Parents can defend against the danger by making sure children are always supervised by a CPR-certified individual, such as a lifeguard. Adults can minimize the risk by never swimming alone or while intoxicated. Although pool chemicals are designed to keep water clean, they can be irritating to swimmers. Showering after you swim, as well as monitoring pool chemical levels, can help minimize irritation. If you develop a rash or burn after swimming, visit an urgent care center for prompt treatment to relieve symptoms and protect your skin. Diving into a shallow area can result in traumatic brain injury if the swimmer’s head impacts with the pool’s surface. In addition to pain, these injuries are associated with several severe outcomes, including unconsciousness, long-term disability, and death. To prevent traumatic brain injury, follow all posted signs and avoid diving in non-designated areas. Broken bones and sprains often occur when wet surfaces send swimmers slipping to the ground. Walking—not running—around the pool area will greatly reduce the risk of breaks and sprains. In addition, always use handles when climbing in or out of the pool. To protect others from slipping, always keep pool toys and other trip hazards out of the walkways. When exposed to swimming pool chemicals, eyes can become red, itchy, and irritated. And in some cases, the presence of bacteria in the water could lead to an eye infection. In addition to balancing pool chemical levels, you can help maintain comfortable vision by always swimming with goggles and rinsing your eyes with water after you take a dip. Although prevention is the priority when it comes to pool safety, it’s also important to know what to do when incidents occur. In the event of a non-emergency injury, you can trust in the family doctors at MediCenter. Located in Kenai, AK, this urgent care facility has the resources to address injuries promptly and the compassion to make treatment as gentle as possible. To learn more about their urgent care services, visit this family medicine clinic online. You can also call a friendly staff member at (907) 283-9118 with questions. How Do Men & Women Lose Weight Differently?